Homemade breakfasts, walking tours, neighborhood activities, and more —Superhosts go above and beyond when it comes to making guests feel welcome. In fact, about 30 percent* of Airbnb homes hosts have offered tours and activities to guests. And some hosts have even made these offerings official by expanding into Experiences. Take Superhosts Patricia Ramos and Oscar Fernandez, who were one of the first Experience hosts in Cuba. The couple, who are both economics professors at the University of Havana, started as home hosts. Now, they also host four Experiences: a two-day cultural adventure in Havana and rural areas; a half-day walking tour of authentic Havana; a day-long excursion to the Cuban countryside to grow coffee, raise animals, and live off the land; as well as a two-hour conversation about the Cuban economy and society over Cuba Libres or beverage of choice. Plus, “we have encouraged friends to host 15 other Experiences,” Oscar said. Patricia and Oscar talked to us about how they took their entrepreneurship to the next level. So how did you get started with Experiences? Oscar: Well, we were spending two hours with every guest during every check-in because we wanted to tell them everything we knew about Cuba. And we enjoyed it a lot because we felt like we were professors, just with a new kind of student. Patricia: Then people started to review us and wrote about [our impromptu tours]. So when Airbnb launched Experiences in Cuba, we thought, Why don’t we create an experience like we’re already doing at check-in? Tell us about your first Experience, Being Cuban Adventure. What makes it unique? Patricia: For the most part, international visitors coming to Cuba are expecting to hear about tobacco, rum, and salsa music. But what we wanted to do is show guests a little bit more: how the educational system, the health system, and the markets work; and how people live on such low wages. We do a walking tour around the city, and show them places that aren’t for tourists, like Coppelia, which is the kingdom of ice cream. It’s about 25 cents U.S. for five scoops of ice cream. There is about a 30-minute wait, and people socialize and even have meetings while waiting in line—it’s a snapshot of Cuban society. We also take our guests on public transportation, which is not common at all [for tourists]. At the end of the day, they feel like they did something really big and can speak to how Cubans really live in a socialist society. What’s the best part about being an Experience host? Oscar: The knowledge and cultural enrichment is amazing. Every time, you share your culture. We are still professors at the university, so we encourage our younger colleagues to co-host the Experience with us. We also feel Airbnb has generated jobs and improved lives. For our “Life in the Countryside” Experience, we take our guests to a rural area to meet our family friends who live off the land by fishing and growing fruit and coffee. Now, we bring guests there about three times a week, and our friends are entrepreneurs now, too. Any advice for other hosts thinking about creating an Experience? Patricia: It’s all about whether you have something to share and whether you truly want to share it with others. Oscar: Because opening yourself up to guests is what it’s all about. You must be yourself and authentic, otherwise you’re not going to be successful. *Based on Airbnb internal research of more than 100 hosts. Our family just came back from visiting Cuba, staying with with Airbnb hosts. We had a wonderful time, and our trip was greatly enhanced by the friendliness and knowledge of not only our hosts, but also our tour guides. We had many interesting conversations about the political and social climate in Cuba and this led us to have a much better understanding of this complex country, its history and culture. Patricia and Oscar's Experience sounds wonderful. For anyone planning to visit Cuba, I highly recommend reading the short but highly entertaining and informative book "Havana: A Subtropical Delirium" by Mark Kurlansky. You have motivated me to think of how I too can play an active role in my guests visit to South Africa. I too love talking to my guests about our countries history, places of interest, etc. Warm welcome to our place in Nepal. Nepal is very rich in natural beauty. We have highest mountain of the world called Mt.Everest. We have many other highest mountains, lakes, George, caves,rivers and so on. We organize hiking activities to our guest as well as sightseeing and many more. I actually spent a week in Hotel Colina wh is a stome throw away to the Univ of Havana. I enjoyed my stay and truly appreciate my experiecne there. The affection and warmth of the Cuban people will no doubt compel you to recalibrate your sense of what is truly valuable and important. What a simple but great idea for hosting an experience! We have wanted to venture into hosting experiences and this gives me some ideas! Question, do you charge extra for this....Or do you include this in your price. When they come to you home do you offer a tour, and give pricing or do you just say, hey we are going to take you around town? How do you set this up...how does it work. I could do boat tours, I have a boat, but would want to charge extra??? Is this appropriate? Is it run through Airbnb? What about insurance purposes of traveling with this people in cars or boats???? All great questions. I have many questions eerily similar to your's Karen. Yes it does sound great but it does need some reseach and yes if you are spending your time and energy there should be some compensentation. I will pick and drop off my quests up at the train station and sometimes drop them off at a resturant or the beach all at no charge but it is time comsuming. I will definitely stay at your place next time I come to Cuba. This totally makes me want to go visit them!! which place is this in Cuba, where Oscar and Patricia hosts and do experiences...how do I find them on Airbnb? Do you charge for your Experience? 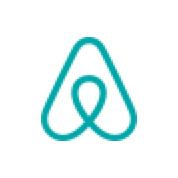 i started with airbnb in paris ten years ago and now I am part of the superhost community for the last three years in brooklyn. i have an Acting school innosrus caled bilingual Acting Workshop. especially Spanish, French, Italian and English could work in nyc or brooklyn? I DO INDEED think that an acting experience would be something people would go for! It's NYC after all! I think if you could pair it with a location, say that they get to tour an off-broadway or avant-garde theatre space and then have the workshop and performance on the stage, that would be pretty cool and a good all-inclusive experience. Also adding in some lighting and filming it for them. A monologue workshop, where they devise a monologue or you give them some great ones to work from, even Shakespearean soliloquies, would be pretty cool as well. Shakespeare in any language is awesome. And having a video record of yourself doing a monologue on a real stage would be pretty rad. Also spoken-word slam poetry might not be a bad idea, if people want to try that. There should be some of those opportunities around that you could curate for people. Anyway, go for it, and someone is bound to try it, and then you will see whether it is successful! I too would love to know how you manage the payments. Go on to Air website and on Experiences and type in search box "Life in the countryside" a dropdown box will show Experience in Havana, Cuba. Click on that. hope this helps you. sounds like you are doing a great job. I am going to implemt this for my Airbnb's in Cuenca Ecuador. Would like to go to Cuba! Love this! How great. It sounds like it would be a real treat to stay with you guys. I have been tryign to talk my husband into doing boat trips with our quests or offering free yoga on our roof top deck that guests don't have access to usually. Thank you for sharing your experiences in Cuba. We visited your country some years ago and loved it. At that time there was no Airbnb. This would have opened up so many opportunities for Cubans. I host in Sydney, Australia and am currently renovating a classic cruising vessel. Once completed I will be hosting an experience aboard Rolling Thunder. Probably by Christmas 2019. Long Live Airbnb! I am in Minnesota and our Nordic Horse is as if you were in Scandinavia. I would like to add experiences but I am unsure how to proceed. Suggestions please! I am In Chennai India Lately we have introduced hair and body care for our lady guests , and anyone who would like to learn Indian cooking can contact us when the check in and we will be more than willing to teach them in groups or one to one on as well at a reasonable cost.. There is no way you can get to know Cuba without these kind of experience hosts knowledge. It is so much easier to get around and less time consuming, also due to the language barrier. Congrats!! Your simple advice is chock full of wisdom and encouragement to share what we love about rural Tennessee. Thanks for the vote of confidence.